Last week, the shiny metal officially entered a bull market, defined as a 20% rally off recent lows. But investors aren’t the only ones feeling gold: central banks just can’t get enough of the shiny metal either. According to the latest report from the World Gold Council, central banks added 336.2 tonnes of gold to their reserves in the second half of 2015, up from 252.1 tonnes in the first half of the year. “Central banks added to their gold reserves with renewed vigor in the second half of 2015, accelerating their purchasing programs as diversification of foreign reserves remained a top priority,” reported the World Gold Council. “Economic and political risks remained stubbornly high: plunging oil prices, conflict in the Middle East, and China’s economic slowdown, to name just a few. Against this background, official sector institutions continued to recognize the need for diversification of their reserve asset portfolios,” the report added. Using the WGC’s data, we put together a list of the biggest gold hoarders out there. Check them out below. Back in November, Prime Minister Narendra Modi announced that he wanted to “tap the stockpiles of the precious metal to trim physical demand and reduce imports by providing people with alternative avenues for investment,” according to Bloomberg. The Dutch central bank reportedly might move more than 189 tonnes of gold (worth over $7 billion) from vaults in Amsterdam. “The central bank is looking at the possibility of storing its reserves in a regular office building outside of the city,” Forbes reported. Japan’s gold reserves were at just 6 tonnes in 1950, and its central bank registered its first serious jump in gold holdings in 1959, with purchases increasing by 169 tonnes from the previous year. In 2011, the Bank of Japan sold gold to pump ¥20 trillion into the economy to calm investors after the tsunami and nuclear disaster. In November 2014, Swiss voters rejected a referendum that would have forced the central bank to boost its gold reserves to 20%. “Russia tipped the scales with purchases in the region of 200t over the course of the year, of which around 141t were bought between July and December,” noted the WGC report. “The most significant development of H2 was the announcement that China’s central bank had accumulated over 600t during the preceding six years. While this took some by surprise, the increase was in line with our estimate and was already fully accounted for in our data, which has consistently allocated an amount to Chinese official sector demand. Hence, no revision was required to our historical series,” noted the WGC report. Back in November 2014, French right-wing leader Marine Le Pen wrote that she wanted French gold back in France, and suggested that the central bank buy more gold reserves, according to Forbes. In 2013, the Italian central bank argued that gold reserves were key to independence. “Germany took more than 200 tones of its gold back to Frankfurt from overseas in 2015, as it moves towards hoarding half of the world’s second-largest reserve at home,” according to AAP. “In the wake of the eurozone crisis, many ordinary Germans want to see more of the 3,381 tonnes of gold in vaults at home and some have even questioned whether it still exists, prompting the Bundesbank to recently publish a long list of gold bars,” the AAP added. 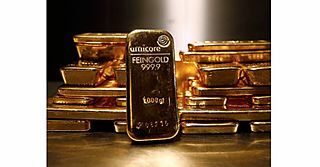 The US had its largest gold reserves in volume terms back in 1952, when it held 20,663 tonnes. By 1968, holding fell below 10,000 for the first time.